If you’re new to Lancaster it can be difficult to know where to do your Christmas shopping. Especially if you want to shop outside the high street! Luckily, Lancaster has plenty of boutiques, markets and independent boutiques, as well as the typical chain shops and some department stores. Enjoy! Arteria & Gallery 23 are a charming boutique art gallery with gifts from designers such as Orla Kiely, and pieces by local artists at a range of prices. Kitchen Corner, on Queen Square, offers homeware and baking products. Their collections include edible cake glitter, Alessi bottle openers, Cath Kidston mugs and much more. Finally, if you know someone who loves coffee, head to J. Atkinson and Co. They’re based on China Street, and you’ll catch the distinctive scent of coffee before you see them. They supply most of the cafes in Lancaster - you can get beans, ground coffee and accessories. Argos is fantastic for affordable presents, covering food, toys, homewares and gadgets. Tk Maxx is another all rounder, and is fantastic for bags, nightwear and home gifts. They range from beautifully packaged spice to Le Creuset dishes. Lush and Body Shop are fantastic for scented products; both do sets as well as smaller stocking fillers. Lush’s individual bath bombs go as low as the £1.95 ‘Ickle Baby Bot’, and are great for Secret Santa. Lancaster and Morecambe have a variety of permanent markets - such as the main outdoor Charter Market in the town centre, which sells mostly fruit and veg plus delicious takeaway food such as Sanah’s Indian cuisine. You can also pick up second hand books, new textiles and incredible handmade ceramics from Alvin Irving. There are lovely cafes dotted round the market where you can refresh yourself with a hot chocolate and snack. The Assembly Rooms are based close to Common Garden Street in Lancaster town centre. The market is based in a Grade II listed building that was originally designed to host balls for the wealthy elite. Today, the market features a variety of vintage clothing stores, as well as hand knitted items, books, cards, games and quality gifts. You can relax afterward at a cafe offering refreshments for all, with veggie, vegan and gluten free options. If you want to pick up something quirky, head to GB Antiques at Lancaster Leisure Park. It features a variety of stalls selling antiques, retro reproductions and collectibles. You can find everything from a vintage Coca Cola print to a Victorian mahogany sideboard. Afterward you can check out the Factory Shop for super cheap bargains, the CountryStyle Meats Farm Shop for fabulous foodstuffs and finish up with a mulled wine at the artisanal Lancaster Brewery. We’re also lucky to have some amazing Christmas markets in Lancaster this year. Starting this weekend, with free parking and free entry, the Lancaster Brewery Christmas Market is on! (Why not pop in after visiting GB Antiques?) There will be a heated marquee to house the 30+ stalls, who will showcasing delicious regional fare and crafts. It’ll be a great family event, with a soft play area, a Santa’s Grotto and live music. Stallholders will be selling hot and mulled drinks, and the Brewery will be open for wine and beer. A regular event at the Storey Institute where you can buy charming, unusual Christmas gifts. It features up and coming artists, designers and makers from across the North West. You can skip the high street and purchase original, affordable goods from local craftspeople - and unique presents for your loved ones. This market is set in the town centre in the place the Charter Market usually sets up. You can celebrate the middle of winter with regional food and drink, hand crafted goods and music. Goods will be available from Lancaster co-op Single Step and district suppliers, including goat meat from the Cockerham Boers, Fair Trade chocolate from the Fig Tree, juicy apples, chutneys and apple trees from Backsbottom Farm and hot chilli sauce from Magma. At lunchtime, shoppers will be serenaded by the Hum, Holler ‘n’ Sing choir. Lancaster Castle is hosting a Christmas market this December. Local choirs will be singing during the event and there will be a Nativity play on the courtyard stage. Jazz quartets and musicians will also be playing festive favourites. Mulled wines and ciders will be available and you can buy seasonal treats and tasty cakes at Nice cafe. There will also be stalls offering produce, arts, crafts and gifts from stallholders. Where are you planning to do your Christmas Shopping this December?  We can offer help and advice at Mighty Student Living and have a huge choice of excellent student accommodation in locations throughout Lancaster and with a full range of prices. Please contact us and we would be happy to help at hello@mightystudentliving.co.uk. Tel 01524 548888. This entry was posted in Guides and tagged on 25 November, 2016 by Graham.